A few years ago, a neighbor, having just switched antidepressant drugs, walked into his daughter’s room, exchanged a few words and then walked into the bathroom and blew his brains out. At the time, according to news agencies, there had been a rise in suicides among individuals taking anti-depressants, particularly in the population that was switching their prescription. My neighbor became one of those statistics. I do not remember whether my neighbor had been on Paxil (Paroxetine) or had just switched to Paroxetine. However, the British Journal of Medicine recently published a re-analysis of Paroxetine. Unfortunately, the corrected analysis showed that Paroxetine indeed increases risks of suicide in young people and adolescents. There were clinically significant increases in harms, including suicidal ideation and behaviour and other serious adverse events in the paroxetine group and cardiovascular problems in the imipramine group. A study funded by SmithKline Beecham (SKB; subsequently GlaxoSmithKline, GSK), the British multi-national pharmaceutical company that produced Paxil, had been done in 2001 that claimed no association between Paxil and suicide. A group of international researchers concerned by the amount of selective reporting of outcomes found in research papers created an initiative called “restoring invisible and abandoned trials” (RIAT). Doing their own research into publishing undisclosed outcomes or correct misleading publications, the initiative has been actively seeking and correcting publications that fit this profile. Their findings dispute the claims made by GSK regarding Paxil. The RIAT researchers identified Study 329 [study done on Paroxetine] as an example of a misreported trial in need of restoration. The article by Keller and colleagues, which was largely ghostwritten,3 claimed efficacy and safety for paroxetine that was at odds with the data.4 This is problematic because the article has been influential in the literature supporting the use of antidepressants in adolescents. were not authors at all and that the research was actually written by a medical communication company (MCC) that GSK hired. Such ghostwriting is disturbingly common in establishing drug safety. “You did a superb job with this,” wrote the paper’s first “author,” Brown University’s Martin Keller to Sally Laden, a ghostwriter working for the MCC Scientific Therapeutics Information. “It is excellent. Enclosed are rather minor changes from me. In 2006, Keller, former Brown Professor Emeritus of Psychiatry, acknowledged that GSK had given him tens of thousands of dollars during and after the time the study was conducted. Research studies are not cheap to perform. Thus, many pharmaceutical studies are based on how much money the potential drug can produce rather than on the efficacy of the drug. We live in times when money speaks much more loudly than services or health [please check the many articles in this blog that I have written on the abuses expressed by pharmaceutical companies]. Although there are governmental bodies in place that have been created to protect consumers, often these bodies turn a blind eye. In fact, the health industry presently is one of the largest profit bearing industries and when there is a lot of money involved, much gets overlooked. Obviously not all drugs produced have fraudulent studies or focus their studies on the monetary benefits rather than the health benefits of a drug. 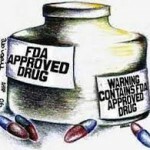 But there are too many drugs being allowed on the market that have not been sufficiently researched. Access to primary data from trials has important implications for both clinical practice and research, including that published conclusions about efficacy and safety should not be read as authoritative. The reanalysis of Study 329 illustrates the necessity of making primary trial data and protocols available to increase the rigour of the evidence base. Pharmaceutical companies have to take more responsibility than small print warnings scrolling across the bottom of the Television screen as idyllic scenes with a soothing voice-over laud the benefits of a drug. They also need to reflect on the potential impropriety of buying doctors a huge lunch in order to have their ear regarding the latest and greatest drug they are marketing. On the other hand, doctors need to take more time to do their own research before prescribing a drug and consumers need to be more vigilant in the doctor’s office. 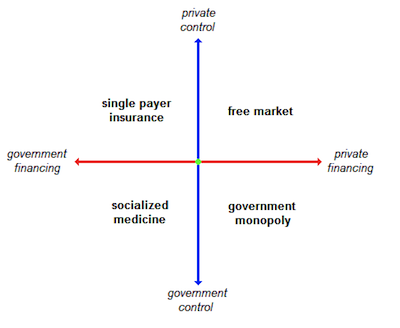 As I have stated in previous posts, our healthcare system is dominated by what I term the Big Three: Insurance Companies, Pharmaceuticals, Hospitals. As with most communication, and by the fact that I am passionate about the need to re-vamp our healthcare approach, I may have sounded a little too strongly at how the system being dominated by the Big Three with focus on profits has a potentially adverse affect on the health of our country. There is no question that the Three developed as the needs of our population arose. Our Democracy is based on a capitalistic foundation. Thus it would follow that pursuing profits would be an inherent part of any business. We, as a country, also put great stock in the Scientific Community. Thus it would follow that pursuing new means of coming up with cures would play a dominant factor in medicine. However, as with any pursuit or endeavor in life, when the focus leans too much in one direction, it can have adverse affects on the opposite side and I do believe that at this stage, the focus of the Big Three has veered too much on the profits and finances, ultimately undermining the service side of their work. If a doctor is required to bring X amount of $s into the “firm” and that can only happen by seeing X amount of patients in a given day and/or suggesting so many procedures or specialty visits, then the patient and his/her health is affected (not to mention the doctor’s, whose life has the added stress of having to bring in so much money). 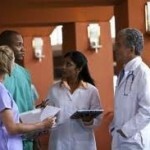 Nowadays, often, young people go into the field of medicine because it assures a good living. Even if a young person has gone into the field for idealistic reasons, ie, helping those in need, the demands of the system and the focus on the money side of things will quickly overwhelm the original intent of the young person going into the field. When my grandfather practiced medicine, he was a General Practitioner. He was the one that people went to if they had a tummy ache, or a toothache, or a wart, or were about to give birth. If his patients didn’t have the money to pay, he might receive a side of ham instead. If he did not have an answer, he would suggest a visit to someone who might have a more specialized background. Litigation against doctors did not exist back then. As far as I know, my grandfather never lost a patient on an operating table. But people were much more accepting that death COULD be an outcome. So the times they have changed. But just as they have changed into this extreme scenario in which it is now considered natural to spend 15 minutes with a doctor and leave with a prescription and/or to try everything that is being offered to keep someone alive (regardless of statistics that may help families recognize that there is very little chance for survival), maybe now is the time to re-focus our attention on the promotion of health, rather than playing catch up to ill-health and permit change to again occur. (In fact, I believe the ability to change and see things in new ways is one of the elements that makes our country so great). This, then, is the basis of my passionate writing on this subject. Thus, just as I make the point that it is time for our system to moderate itself, I, too, plan to moderate my writings on the subject. A friend sent me a study which was reviewing the side effects of anticholinergic medication in older Americans. 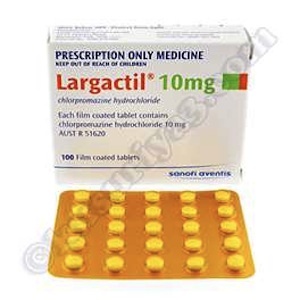 [for a list of medications that contain anticholinergic properties, please follow this link. You may wish to review this list, particularly if you are taking any medications]. “medications with Anticholinergic properties have frequently been cited in the literature as causing an increase in adverse events. Such conditions often lead to consequences such as falls, impulsive behavior and loss of independence. Higher rates of cognitive dysfunction and delirium are found in patients experiencing a greater Anticholinergic load. In other words, would prospective older primary care population patients taking medication with anticholinergic properties who experienced similar side effects potentially experience the increased adverse effects of multiple use or cumulative amounts of anticholinergic remnants in their system that their older counterparts do, i.e. cogtnitive impairement, delirium. They found a direct correlation between increased adverse effects and increase in age and, potentially, use of more agents containing Anticholinergic properties. I have written about this before but I find that the topic is so important because we have become a country of drug users. Our doctors have become the pushers and the pharmaceuticals are the source. The above study claims that the mean number of pharmaceuticals taken by the average 65 year old is six. Most of these pills have side effects. combine them and the side effects increase exponentially. I write about this because these statistics are frightening to me. I write about this because, knock on wood, God willing and the Creek don’t rise, I do not take any pharmaceuticals. In fact, one day a couple of years ago, I was at the eye doctor. The intake nurse asked me my age. Her second question: “What medications are you taking?” I replied, “None.” Her head shot up and she looked at me. She replied, “None?” I said, “None. Is that unusual?” She replied, “You are the first person who has ever given me that answer.” !!! Wow! I guess it is unusual. Recently, a friend who is a social media guru, told me that my site did not effectively communicate what my message was. Being a person who is aging in a society wherein aging is looked at in negative terms, I decided to begin a website that explored all those aspects of life/society that affect the aging person, positively and negatively. I am interested in exploring a more positive outlook towards aging. Baby Boomers make up a large percentage of the population. We should be working together to pro-actively create twilight years more to our making and liking, not follow, like sheep, society’s definition of what aging is all about. Where does the story begin? In some societies, the elderly are venerated. In other societies, they are taken care of. In our society, unbelievable amounts of energy and money are expended to avoid the aging process and to avoid death. The real problem with all of this is that gerontology is looked on as dealing with “old” people and our concept of “old” is decrepit , demented, incontinent. Until we reach “old” (at least in our society) no one wants to deal with “old” and so the image of “old” continues to be perpetuated in the above fashion. People need to recognize that those of us who don’t age, die. In other words, unless something else takes us away, we are all going to age. Unless those of us who are aging now (but are denying that fact, other than to laugh about “senior moments” or complain about the “new aches and pains,”) take responsibility for this fact, buy into it and prepare for it, we will not have the infrastructure in place to deal with it properly (which is where we are today in our society). Time for a paradigm shift. Unless the baby boomers (46-66) create that paradigm shift, we will have quite a mess on our hands. Why do I say that we will have a mess on our hands? In sheer numbers, the baby boomers outnumber those following them. Studies show that younger folk do not seem to be attracted to service oriented jobs. The traditional definition of family has been expanded to several parents/siblings/grandparents by virtue of high number of divorces and re-marriages, which will also have an impact on care-giving. Not only that, but we, beginning with our parents, are the highest users of pharmaceutical drugs, all of which have some side effect which causes some other problem which necessitates taking more pharmaceutical drugs. Now all of this is glorious news for the health care industry (note the word industry — their term, not mine). What better scenario for profits than having an individual with a chronic illness who is totally dependent on the health care system? And better yet, particularly for the insurance companies [– one part of the triage that makes up the health care industry, the other two being pharmaceuticals and hospitals/doctors –] is a person who is on medicare and has all these chronic problems because then 80% of the cost for their care is covered by Medicare. This is a scenario that I find dismaying and will speak out against again and again. We should never have allowed a service industry to become a profit making industry. When we did, health no longer became the focus — profits did. Making money did. And when that happened, individuals’ health became compromised by the very system that claims to be proponents for health. So in a nutshell, this website will (mostly) focus on our aging process and those steps we can take to better prepare ourselves (boomers corner) and it will focus on the health care industry by presenting articles that demonstrate the need for a major overhaul of that industry in the hopes of recapturing its original intent: health. (Health Blog). I would appreciate any thoughts you may wish to share with regard to this. Can Anti-Psychotic Abuses Be Stopped? Just as I think I have presented a fairly comprehensive picture about the abuses of anti-psychotic prescriptions and the elderly, I come across another horror story. This time, the story appeared in the AARP Bulletin. To add insult to injury, Merayo was earning $100,000 in consulting and speaking fees from the pharmaceuticals that manufactured these drugs. Unfortunately, this story is not an isolated incident. Lawmakers are apparently considering writing legislation that would address the misuse in administrations of these anti-psychotic drugs to the elderly. Our elderly are frail and need protection. The weakness inherent in creating laws by which to do this, of course, is the ability to manipulate the laws and/or the all too prevalent tendencies on the part of our lawmakers to be bought. No. The only way to protect the frail is to have a community, a village, if you will, or an extended family in which many people take responsibility for the care and protection of their nanas and grandpas. Add to this picture doctors, general practitioners or geriatric, who know their patients and know what ailments may arise as one ages and, we might nip most of the abuses in prescribing anti-psychotic drugs that are prevalent today. Oh, but then I guess I am talking about a society in which humans and not profits are the focus. Hm.